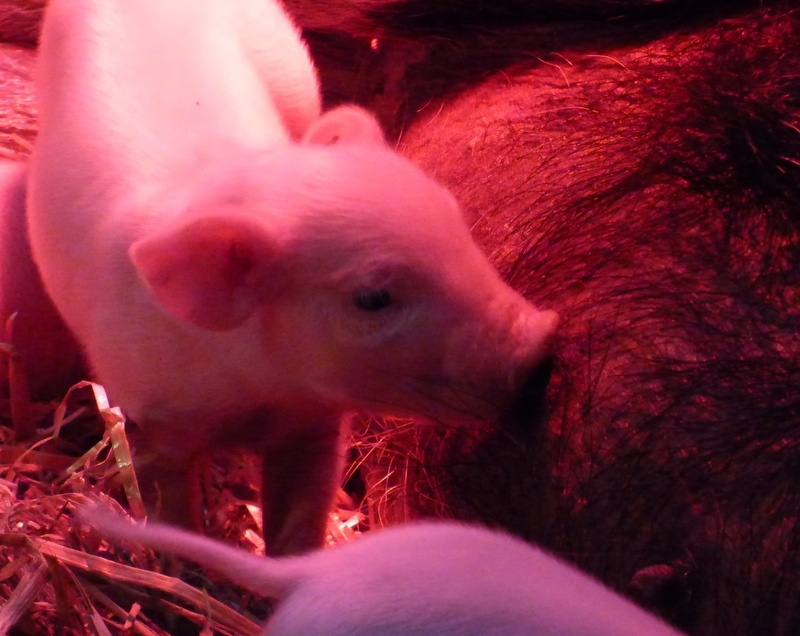 ‘Did mummy feed me like that?’ I said pointing to the newly born piglets. ‘She did indeed!’ he replied and although I wanted to ask more questions, I didn’t! However, I remember thinking at the time that the whole subject of animals caring for their young was fascinating. The shortest nursing period of any mammal belongs to the hooded seal. Although they live for about thirty years, their childhood lasts just four days. You see, these seals must give birth out of water and the only surface available to them is floating ice. The warmth from the newly born pups melts the ice and they risk being separated from their mothers. And so the perils of life on a floating ice raft are avoided by a short childhood. Clever animals! The longest childhood goes to the Orangtans. These youngsters will ride on their mums and sleep in her hest for seven years or until a new baby arrives on the scene. The males will then wonder off but the females will hang around to learn the art of motherhood. My whole life has revolved around animals, wild and tame. I drove my grandmother crazy with the sick creatures I nursed in my bedroom as a child, and now fully grown, life at our home for waifs and strays is just the same.